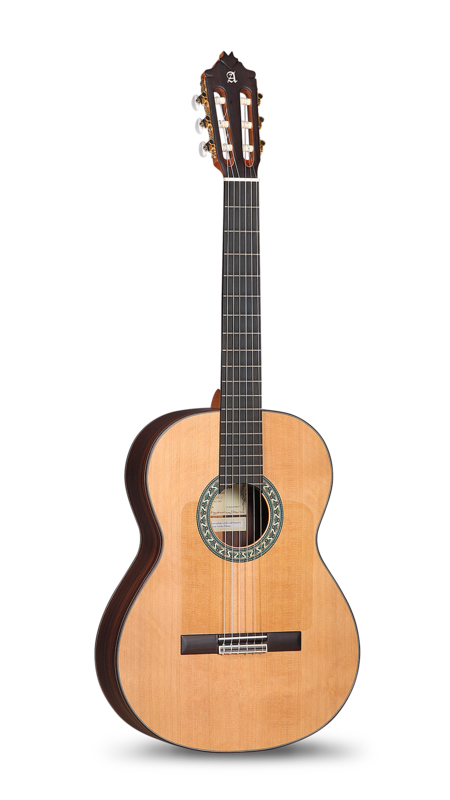 Alhambra has introduced some technical specifications that make up a very versatile guitar, with an excellent value for money and with the qualities required by today's flamenco guitarists. 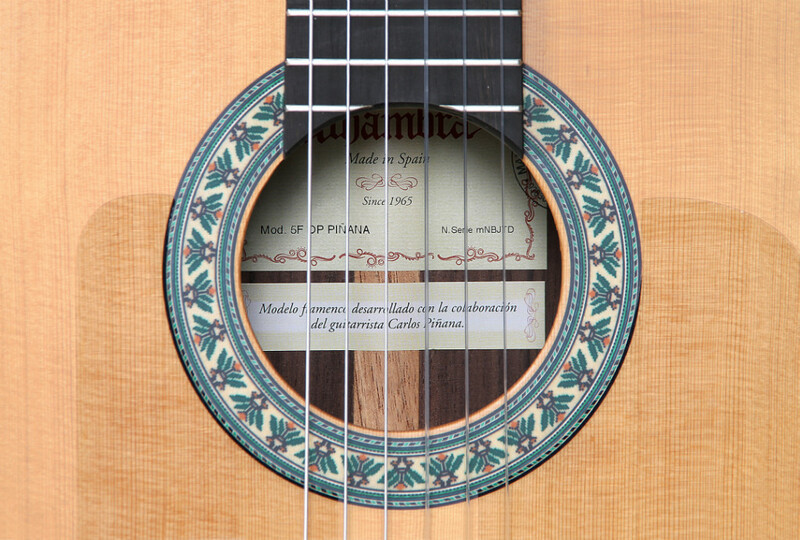 The model 5 Fp OP Piñana is a flamenco guitar called flamenco negra. 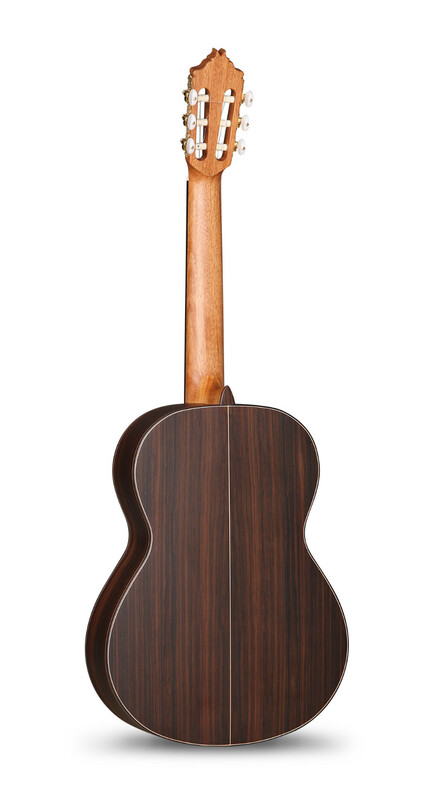 Instead of cypress for the back and sides, it is made of Indian rosewood. Although in this case, it is important to highlight the choice of solid Cedar for the top. 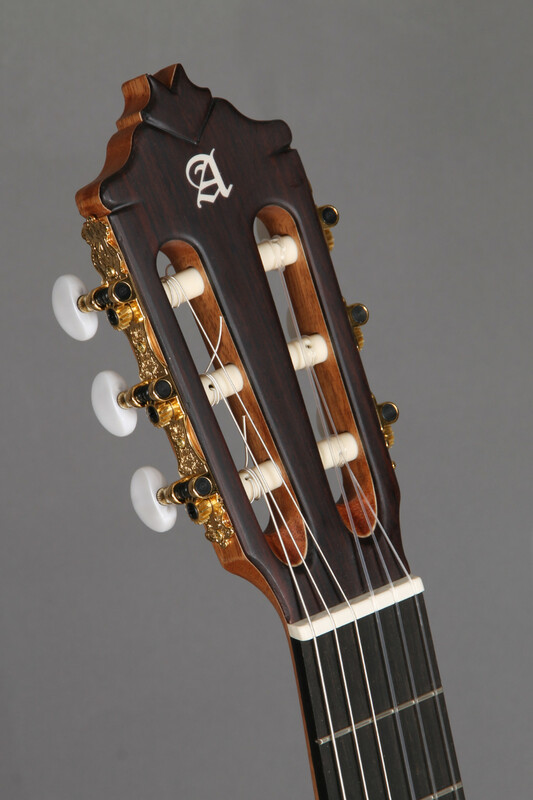 Using cedar top is infrequent in flamenco guitars, but Alhambra has been investigating to create a new bracing design to get a guitar with the flamenco personality. Its sound is round and gives greater versatility for the interpretation of different styles. The 5 Fp OP Piñana model comes with gold machine heads, a comfortable Mahogany neck reinforced with ebony and melamine for the saddle and nut, a highly transmitting material that helps balance the sound. This model has a classy aesthetic, full of special details and a great quality sound. 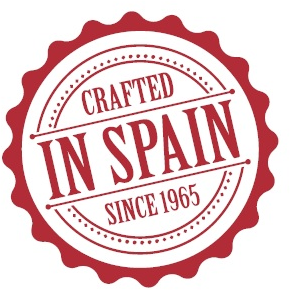 The 5 Fp OP Piñana is a different flamenco guitar, with innovative elements but still maintaining the flamenco tradition. 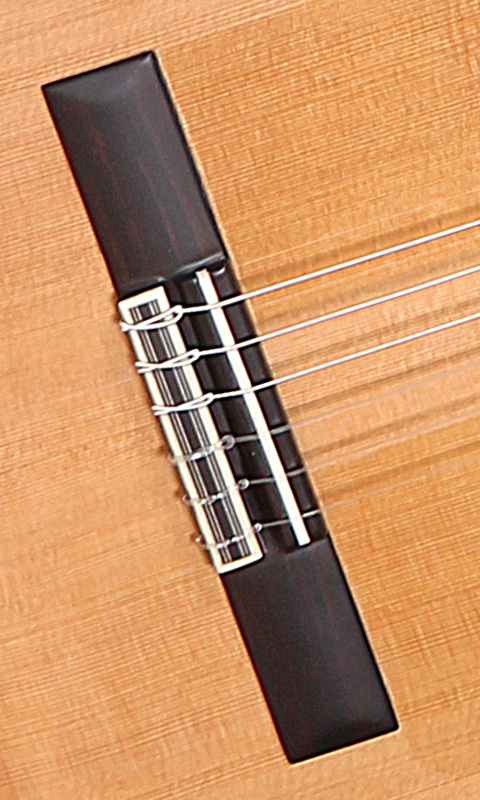 In the construction of this guitar, Alhambra has used the open pore system. This finishing system offers a natural satin finish in the aesthetics of the instrument, where the pores of the wood remain open, which allows the sound of the guitar to have a great resonance. This finish requires fewer amount of varnish, however, a powerful sound is achieved.